What if Marcion’s canon-which consisted only of Luke’s Gospel and Paul’s letters, entirely omitting the Old Testament-had become Christianity’s canon? What if the Ebionites-who believed Jesus was completely human and not divine-had ruled the day as the Orthodox Christian party? What if various early Christian writings, such as the Gospel of Thomas or the Secret Gospel of Mark, had been allowed into the canonical New Testament? 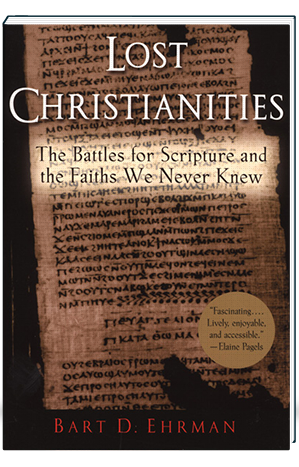 Ehrman (The Orthodox Corruption of Scripture), a professor of religion at UNC Chapel Hill, offers answers to these and other questions in this book, which rehearses the now-familiar story of the tremendous diversity of early Christianity and its eventual suppression by a powerful “proto-orthodox” faction. The proto-orthodox Christians won out over many other groups, and bequeathed to us the four Gospels, a church hierarchy, a set of practices and beliefs, and doctrines such as the Trinity. 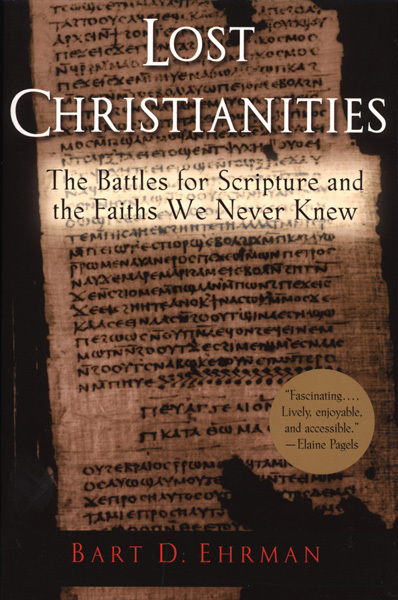 Ehrman eloquently characterizes some of the movements and Scriptures that were lost, such as the Ebionites and the Secret Gospel of Mark, as he outlines the many strands of Christianity that competed for attention in the second and third centuries. He issues an important reminder that there was no such thing as a monolithic Christian orthodoxy before the fourth century. While Ehrman sometimes raises interesting questions (e.g., are Paul’s writings sympathetic to women? ), his book covers territory already well-explored by others (Gregory Riley, The River of God; Elaine Pagels, Beyond Belief), generating few fresh or provocative insights. Copyright 2003 Reed Business Information, Inc.